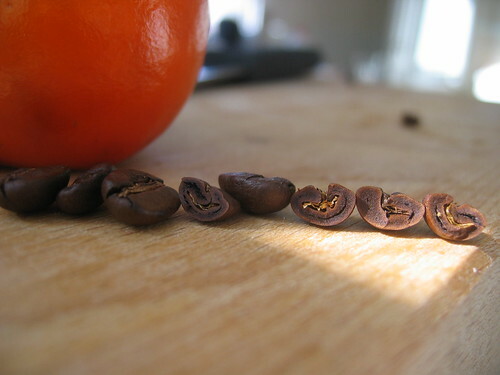 Tipping and scorching are roasting errors which lead to an uneven roast. You can read more about this topic in this brilliant article by Willem Boot. A friend once addressed me saying that I surround myself with many people who don't scorch or tip and I began to see that as the norm. I didn't disagree but the truth is we have dealt with this particular subject for a long time to the point it is affectionately called the New Flava Roast or the 'single bean melange' in mockery. The particular flavors that come from this are not enjoyable in the least. You have vinegar and ash in the same cup where I can honestly say it would take an odd palate to put wonderful descriptors to this one. Interior scorching is identified by this layered coloration. You can have defined unevenness which will lead to a fuzzy taste profile and a murky cup. There are no layers or clarity in the cup and no distinct flavors. 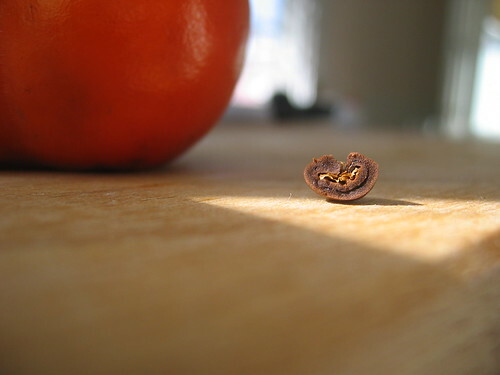 Often unpleasant and if you didn't take the time to crack open a bean and examine the interior, the outer coloration would look normal. Pay attention to your roasts people!